Nicole Kidman stars as one of the twentieth century's most iconic women – Hollywood actress Grace Kelly, who became Princess Grace of Monaco when she married Prince Rainier (Tim Roth) in "the marriage of the century." Six years later, she was invited back to Hollywood by Alfred Hitchcock to star in his new film Marnie. 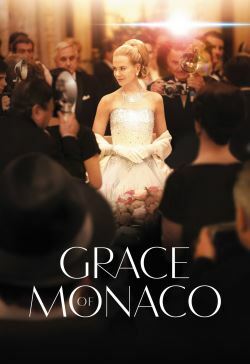 But with French President, Charles de Gaulle, threatening to annex the Principality of Monaco, Grace found herself at a crossroads for her family, her marriage and her country. Would she return to Hollywood as a universally loved celebrity icon or remain with her family and take on her new role and identity as a true Princess of Monaco? Also starring Frank Langella, Paz Vega, Sir Derek Jacobi and more, this epic romance was directed by the acclaimed director of La Vie en Rose.